Our goal is to connect people with the best local experts. We scored wedding photographers on more than 25 variables across five categories, and analysed the results to give you a hand-picked list of the best wedding photographers in Aurora, CO.
AMK Wedding Photography is a photography company in Aurora, Colorado that specializes in wedding photography. They offer packages such as the Silver Package 1, Gold Package 2, Platinum Package 3, Sapphire Package 4, and Diamond Package 5. Their Silver Package includes up to 3 hours coverage, up to 300 photos shot, and all images provided on CD. The Silver Package is the least expensive package that they offer. The Diamond Package 5 they offer includes unlimited coverage, unlimited images, engagement portraits, custom leather wedding album, and engagement portraits. Unlimited images will be shot, and their best 300 images will be put into an Italian leather proof album. AMK Wedding Photography was voted as the Best of Aurora in 2014. Avenue B Photography is a professional wedding photography business serving the communities of Denver, Aurora, Centennial, Castlerock, Lakewood, Broomfield, Westminster, Arvada, and Northglenn, Colorado. Avenue B Photography is also available for international travel. Established in 2009 by Becca Ohr Morgenegg, Avenue B Photography specializes in wedding and lifestyle photography. This studio offers a variety of photography services including wedding and engagement, family portraits, high school senior sessions, maternity, and newborn photography. All wedding photography packages include access to all high-resolution images and five hours of photography time. Clients highly rate Avenue B Photography for their professionalism, attention to detail, and high-quality photography. Based in Aurora, Colorado, photographer, Donna Young creates portraits of newborns, maternity, engagement, families, children, high school seniors, small events, and wedding photography in the Denver metropolitan area. For the newborn photography sessions, Young’s studio is recommended to make full use of the props and wraps that are available. Photos can also include siblings and parents. Offering multi-sessions for maternity, newborn and milestone portraits, Young's photo packages help new parents later remember how incredibly tiny their children used to be and how fast they grow. Clients appreciate Young’s easygoing manner and the professional results she achieves. Dusty Image is a photography service provider located in Denver. The studio started in 2011, and over the years, the business has further expanded as it continues to deliver quality and creative photos to fully satisfied clients. They also serve clients living in Honolulu, Chicago, and New York. As professional photographers, they can capture any moment with beauty, creativity, and clarity. The team is passionate about providing a colorful and modern take on photos. They cover various photo shoots, which include the following: wedding, portrait sessions, family portraits, mommy/baby photo sessions, and LGBT weddings. To book a date, clients should fill out the form and sign the contract with a full payment attached. Regarding the copyright of images, Dusty Images retains the copyright. Eric Rolph Photography is a wedding and portrait photography studio that is based out of Colorado. They are committed to shooting outdoor photographs that blend a journalistic style with a fine art look. Eric Rolph Photography only shoots a few weddings each year and would encourage potential clients to contact him well in advance of the scheduled event. They have staff with more than 15 years of experience and are open to collaborating with clients regarding the final look of the finished product. Eric Rolph Photography has received positive local attention for the dramatic quality of their photographs. They may be able to book couples, children, and family portraits if given enough notice. Friends and Lovers Photography is a photography studio located in Colorado that can provide wedding photography services to clients all over the Greater Denver Metro area and surrounding communities.The owner and photographer for the studio is named Chesley, and she started her photography business well over five years ago. The studio specializes in providing many different kinds of photography including wedding photography services. They can also offer portrait photography, including boudoir and lifestyle photos. Friends and Lovers Photography can be found on many social media sites such as Facebook and Instagram. The studio seeks to provide each of their clients with high-quality, professional services. Kate Salley Photography is a professional photography studio serving the communities of Sunnyside and Denver, Colorado, and the surrounding areas. Kate Salley Photography specializes in wedding photography. This studio's photography style is a blend of candid, documentary, and photojournalistic. Kate Salley Photography offers a broad range of services including wedding and engagement photos, maternity sessions, child and family portraits, and professional headshots. Kate Salley Photography also offers elopement photography services. This photography studio has been featured on Wandering Photographers. Clients recommend the team at Kate Salley Photography for their high-quality photography, accommodating and friendly customer service, and professionalism. Picture Your World Photography is a photography studio located in Colorado that can provide wedding photography services to clients in the Denver Metro area. The owner and photographer for the studio, Sheba Wheeler, has been practicing photography for over a decade. She worked for fiteen years as a reporter with The Denver Post and uses these skills to help create a photography studio with a unique perspective. The studio specializes in candid photography services as opposed to staged portrait photography. Picture Your World Photography was nominated in 2015 for an Aurora Business “Best of the Best” Recognition Award. 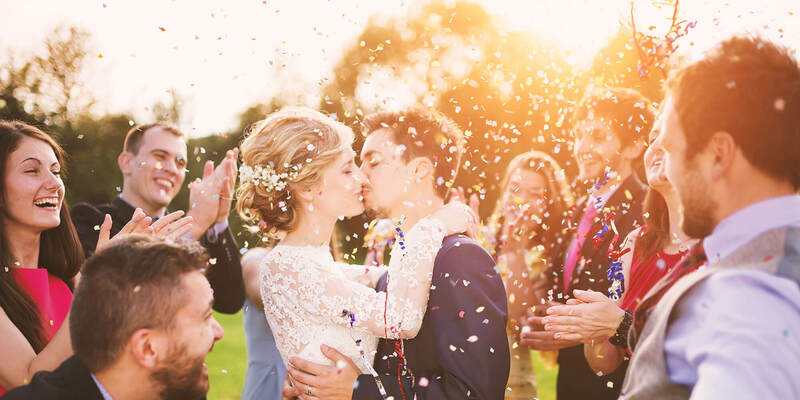 The company was also named a Thumbtack.com Best of 2015-Wedding Photographers in Denver. Raw Reflections is a photography studio located in Colorado that can provide photography wedding photography services to clients in Denver and many other areas.The owner and founder to the studio is Ashleigh Klausner, who has many years of experience. She strives to provide each of her clients with quality, professional photography services and images. She enjoys capturing the special moments in her clients' lives and to create images that can become a lasting memory. Ashleigh has been a photographer for many years. Raw Reflections specializes in providing maternity, children’s, and family photography. They can also provide birth story photography and engagement sessions, among other services. Snapshots is a photography studio located in Aurora, Colorado, that can also provide wedding photography services to clients in the surrounding areas and communities. The photography studio offers professional photography services, and they provide their clients with a portrait studio. The studio uses professional photographers with many years of experience who strive to offer each clients with unique, creative photography services. The founding owner and photographer for the studio is James Rowe, who employs a team of other professionals. The studio specializes in providing high school senior photos, wedding photography, and many other services. They strive to provide quality services to each client.